Synopsis: Wish you had more happiness in your life? Imagine being less stressed and happier right now. Finally, you can make this dream a reality! Based on scientific research and real life stories, here is your ultimate prescription to a joyful, fulfilling life, and it is a lot easier than you might think. Get ready to transform your life. Effective approaches to let go of regret and worry that prevents you from enjoying life"
In a combination of great stories, inspiring quotes and easy to read charts Dr. Lombardo gives a thorough and practical approach to genuine happiness. Not the fake it to you make it resolution so many of us resort to. Just by reading her words in this book and viewing her interviews, I feel the genuineness towards our happiness. The book is written in an A-Z format of ways to maximize your happiness. I love this because many self-help books fail to make this easier for us to go back to for reference. Each topic is a few pages each ending with Dr. Lombardo's prescription for you. Another thing I love about this book is the fact that there's not a bunch of hard to understand terms. It's written in a very down-to-earth manner. It's almost like talking to a friend with a lot of wisdom. I can and will be rereading this book often. I recommend this to everyone experiencing the negative effects of stress in their life and well as gifting this to new parents, newly weds or anyone you know that is potentially dealing with stress. You can sample part of her book here. It includes the Happiness Assessment from the book! 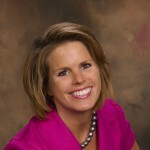 Be sure to join her site for additional free resources! 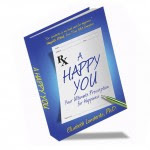 "A Happy You: Your Ultimate Prescription for Happiness" is available at many major retailers in book and ebook format and retails for $16.95 US. And you can even email her through the website here. Disclosure: I was provided a copy of this book without charge by the author and PR company. All opinions contained in this review belong solely to me and were not subject to editing.